The high school senior was just offered an $800 scholarship to come to play football at Washburn. With a shrug from his father indicating he could take it or leave it, he decided to take it. As a biology student earning recognition for his work in the classroom and as a defensive tackle, he received athletic and academic scholarships. He was very grateful for the support. 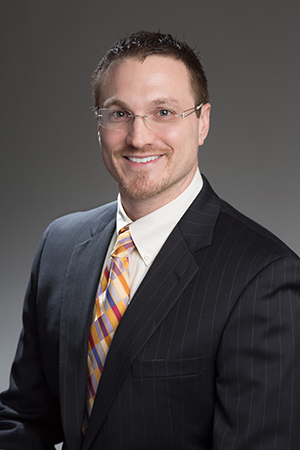 Doonan went to medical school and now practices as a cardiologist for HCA Midwest Health in the Kansas City area. He knew he wanted to be a doctor after his dad posed the opportunity as a child. The idea appealed to him and he was able to get through pre-med requirements at Washburn while excelling at football. His senior year he won a cash award from Burger King he could apply toward a Washburn scholarship in his name. Doonan also gave to Washburn this year with a gift to the Indoor Athletics Facility. The state-of-the-art building will increase opportunities for student-athletes and the community. As a football alumnus, he was there at the beginning of the resurgence seen now. His 1999 team produced the program’s first winning season since 1988. “We’ve turned the corner to where the alumni and the students expect us to do well in the conference, and we look forward to supporting them all the way to the national championship someday,” he said. Do you want to give back after your experience at Washburn? Do you want to honor a family member, friend, coach or classmate with a scholarship in their name? 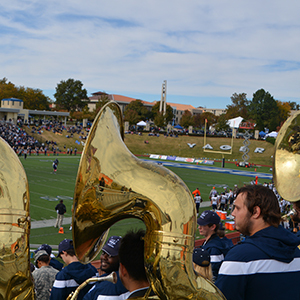 You can support the Ichabod Athletic Fund with a gift online or contact Bruce Steinbrock by email or at 785.670.1334 to learn about other funding opportunities like an endowed scholarship or estate gift that will change student-athletes' lives for generations to come.